We show our using horses and use our show horses! 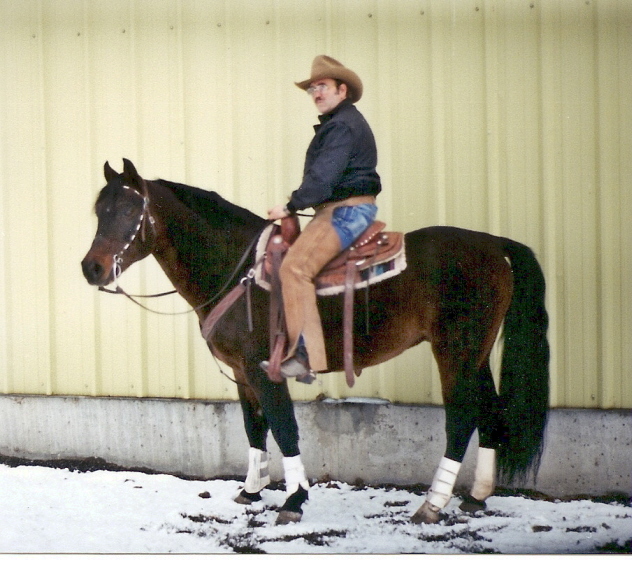 Here at Ida-Ho Morgans located in Lewiston Idaho, we specialize in cutting Morgans, reining Morgans, working cowhorse Morgans, family Morgans, trail Morgans. From ranch work, to packing in the mountains, to the show ring, we show true Morgan versatility with our western working Morgans. Morgans for stallion service and Morgans for sale. 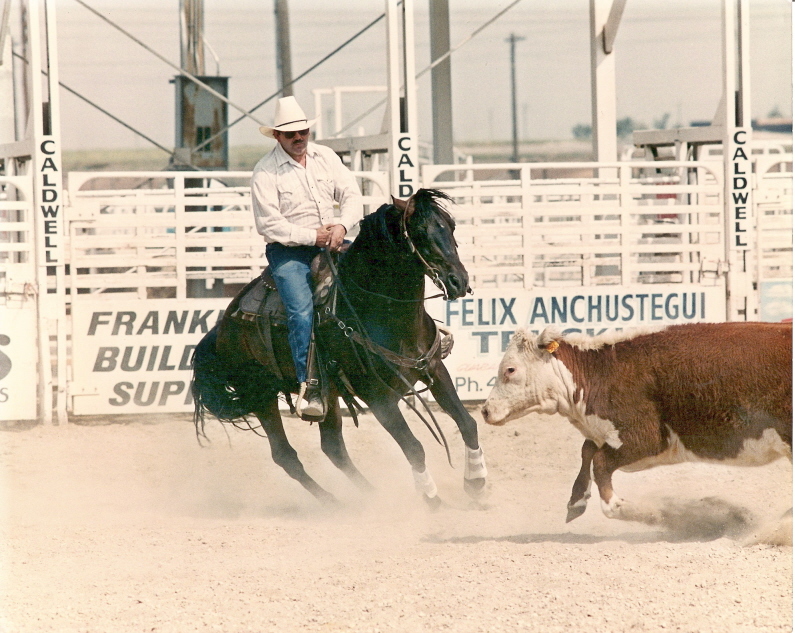 Mortana Pat (age 24 in photo) cow cutting at a show with Ray Ellsworth, Jr. up. Using Ida-Ho Morgans in a pack string. (From left to right, Mortana Pat with Ray up, Ida-Ho Mary Lynne, Ida-Ho Mary, Ida-Ho Sir Prize, Ida-Ho Marietta). 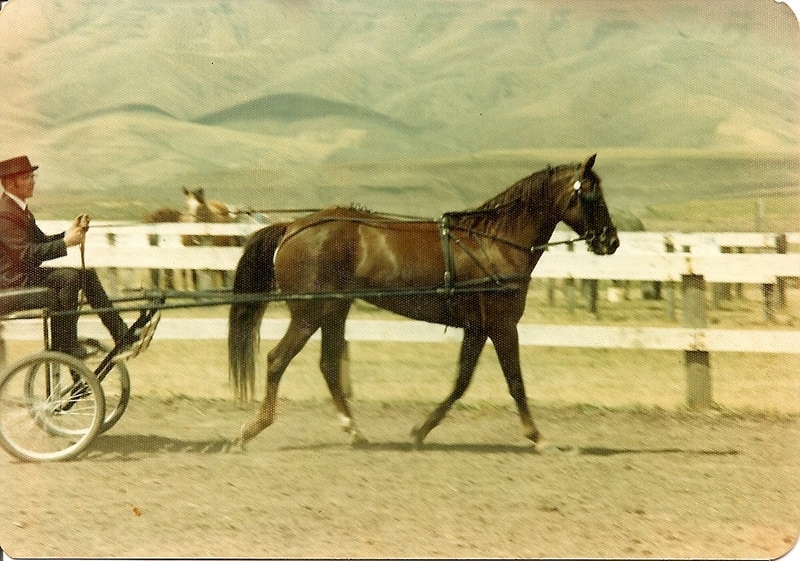 We purchased our first registered Morgans in 1953 and have been using registered Morgans for our work and pleasure, basically using the same bloodlines ever since (Jubilee King/government cross). Our first two registered Morgan mares Luck, a Delbert daughter out of a Chief Bugler daughter and Luck’s daughter Luckie Nugget a Ken Carmen daughter (Ken Carmen son of Jubilee King). 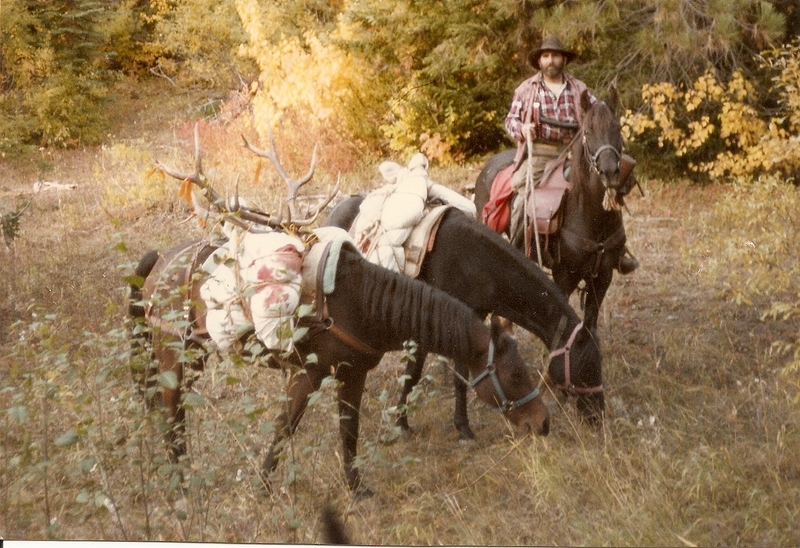 We used these two mares to work cattle and in the fall to hunt and pack out elk, deer, bear. 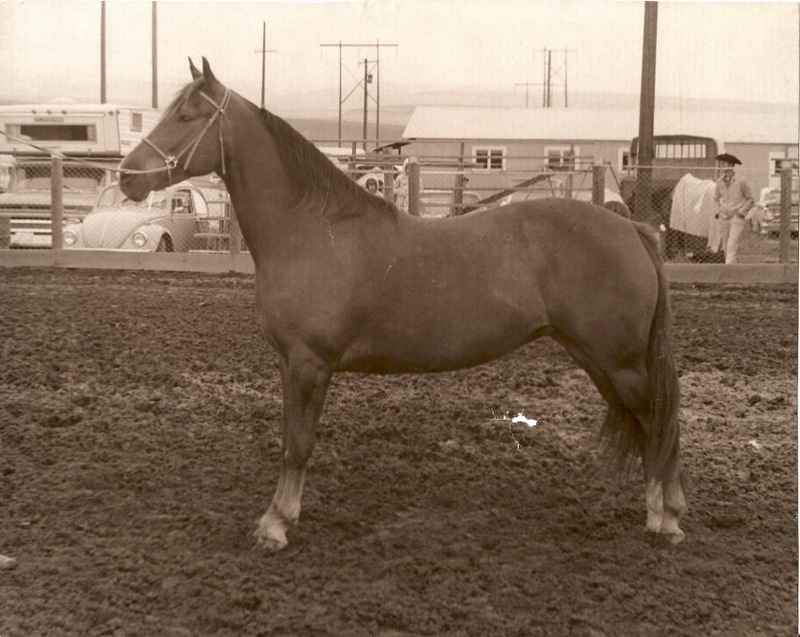 In 1955 Dean Jackson (Jackson Morgan Horse Ranch, Harrison, MT) was showing Fleetfield at Pulllman, WA, in a big all breed show . We liked Fleetfield so well that we bought his son Dedrick the next spring. Dedrick’s dam Detta is a daughter of Delbert. Delbert’s dam Alibirde goes back to Red Oak,Headlight Morgan, The Admiral (Sellman breeding). 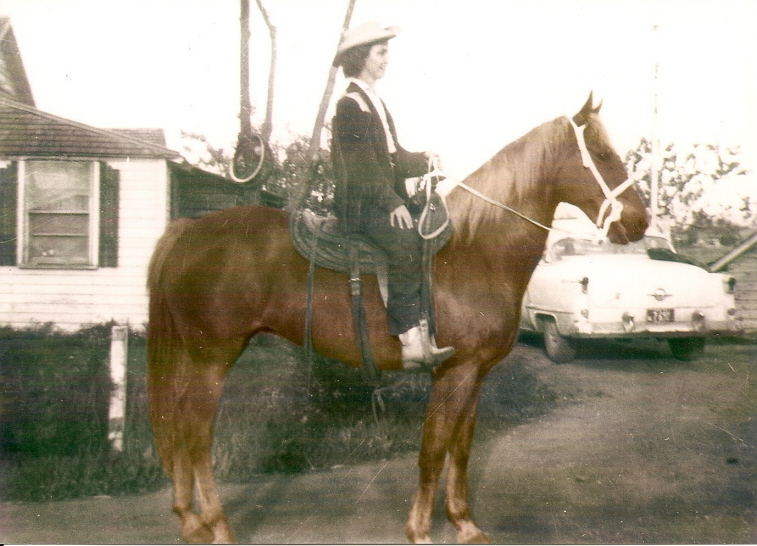 Detta’s mother is Etta, a Chief Bugler daughter. 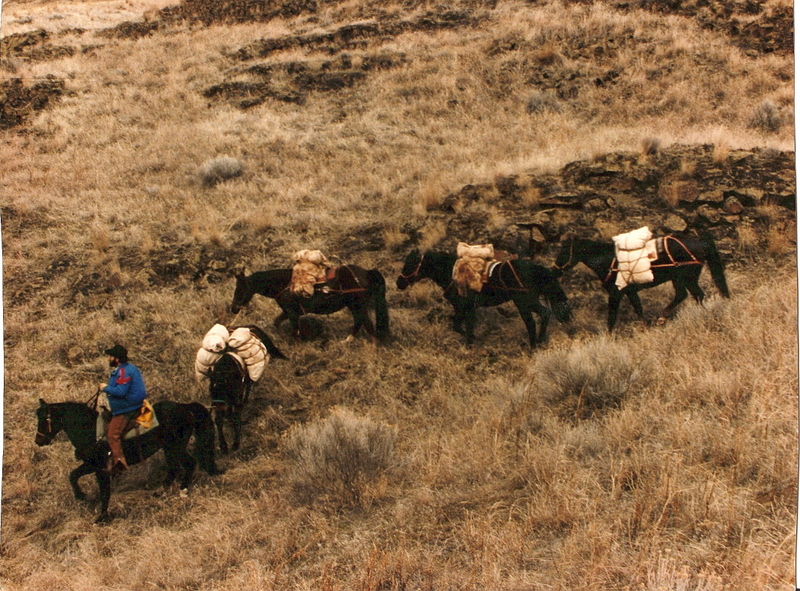 All of these horses were used on big cattle ranches. in the 60’s, 70’s. We were even asked by a couple of show comities not to bring Mary and Tammy because people wouldn't come to show for third place! 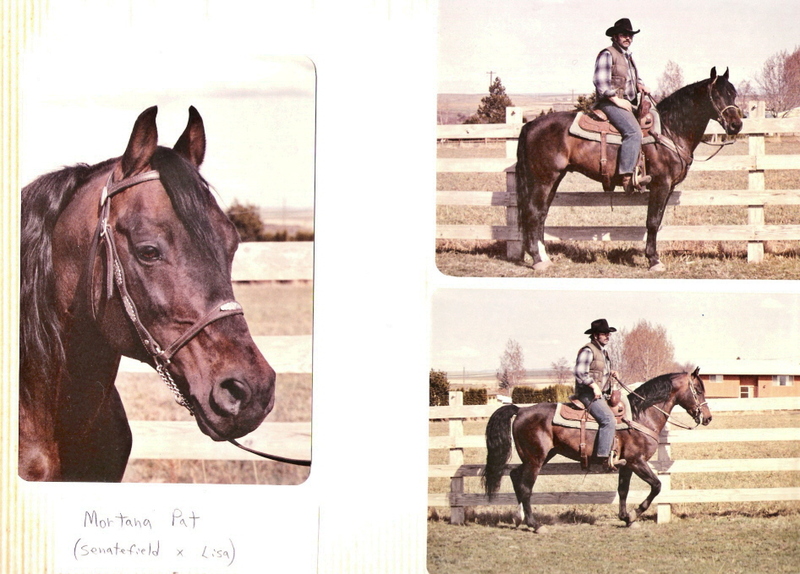 In 1971, I went back to the Jackson Morgan Horse Ranch to get a stallion to breed Mary and Tammy to. I looked at everything they had and kept going back to a bay yearling colt (9 months old) Mortana Pat. This turned out one of the best horse deals I ever made even though it seemed a high price at the time. I had Pat for thirty three years and he was a joy. 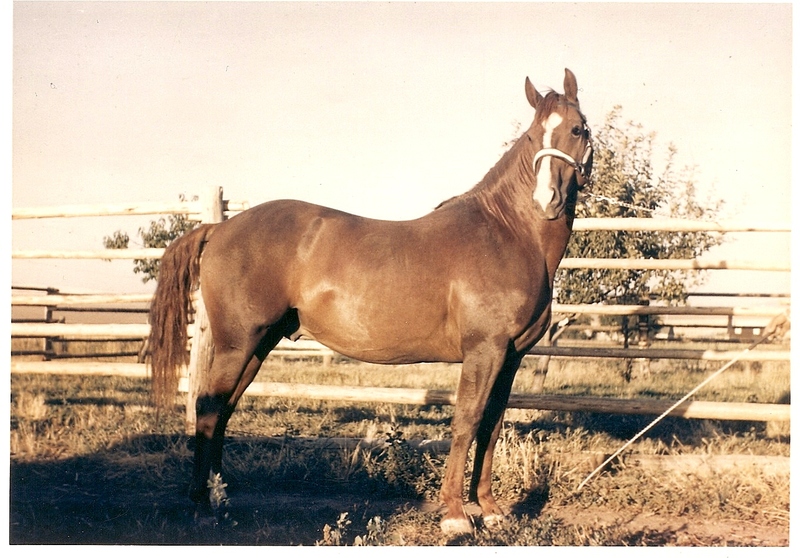 Many other Morgan breeding programs used Pat/Ida-Ho Morgan mares offspring for foundation stock or to incorporate into their other bloodlines by breeding their mares to him. Also, many of his offspring went on to be National/Regional champions. Stallions we have used over the years in our breeding program. Click on "blue" word for photo or link. Our website is new, more information is coming soon. Click on the thumbnail photo below for a larger picture. Mortana Pat with Ray up. Ida-Ho Mary Lou with Ray up, Ida-Ho Flash, Ida-Ho Mary Lynne with antlers. 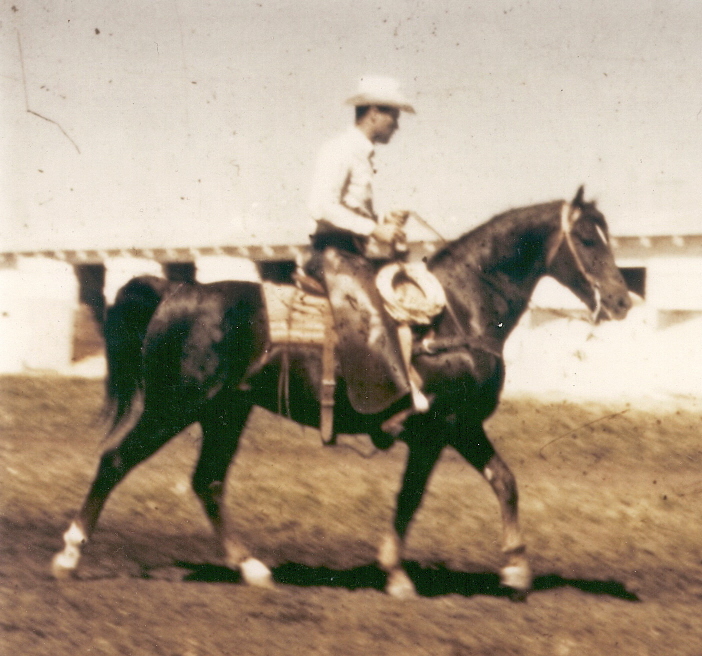 Ida-Ho Marietta at a show in a harness class, with Ray, whip.